Contact Us To Find Out How To Buy For As Low As $0.30/lb. Walnut shell grit is the hard fibrous product made from ground or crushed walnut shells. When used as a blasting media, walnut shell grit is extremely durable, angular and multi-faceted, yet is considered a ‘soft abrasive’. Walnut shell blasting grit is an excellent replacement for sand (free silica) to avoid inhalation health concerns. Cleaning by walnut shell blasting is particularly effective where the surface of the substrate under its coat of paint, dirt, grease, scale, carbon, etc. should remain unchanged or otherwise unimpaired. 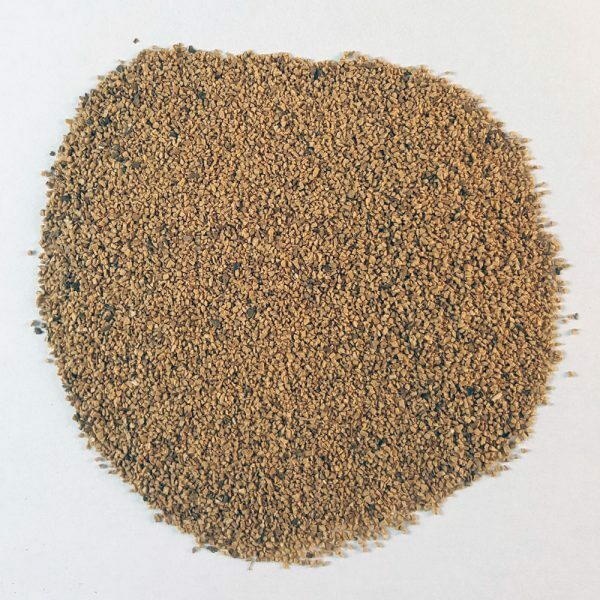 Walnut shell grit can be used as a soft aggregate in removing foreign matter or coatings from surfaces without etching, scratching, or marring cleaned areas. When used with the proper walnut shell blasting equipment, common blast cleaning applications include stripping auto and truck panels, cleaning delicate molds, jewelry polishing, armatures and electric motors prior to rewinding, deflashing plastics and watch polishing. When used as a blast cleaning media, walnut shell grit removes paint, flash, burrs, and other flaws in plastic and rubber molding, aluminum and zinc die-casting. Walnut shell can replace sand in paint removal, graffiti removal, and general cleaning in restoration of buildings, bridges, and outdoor statuaries. Walnut shell is also used to clean auto and aircraft engines and steam turbines.